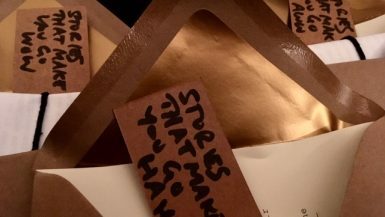 By staging a night of anonymously co-written stories, art-poetry crossover performance and insightful talks within the gorgeous interior of the Leeds Library, #foundfiction has made a strong bid to be part of the city’s literary history – and future. Here we reflect on the night’s highlights, the journey to the launch and the project itself. Many of us have words to live by – particular phrases that define who we are and guide how we handle life’s curveballs. 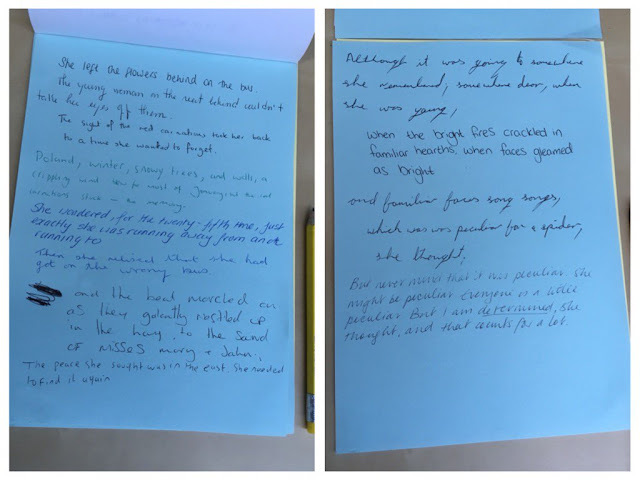 For #foundfiction it’s ‘the best stories you find are the ones that find you’. This is the idea that literature is about a reader taking the outstretched hand of a writer they might never meet, and making a powerful bond through a story they didn’t know they were looking for. 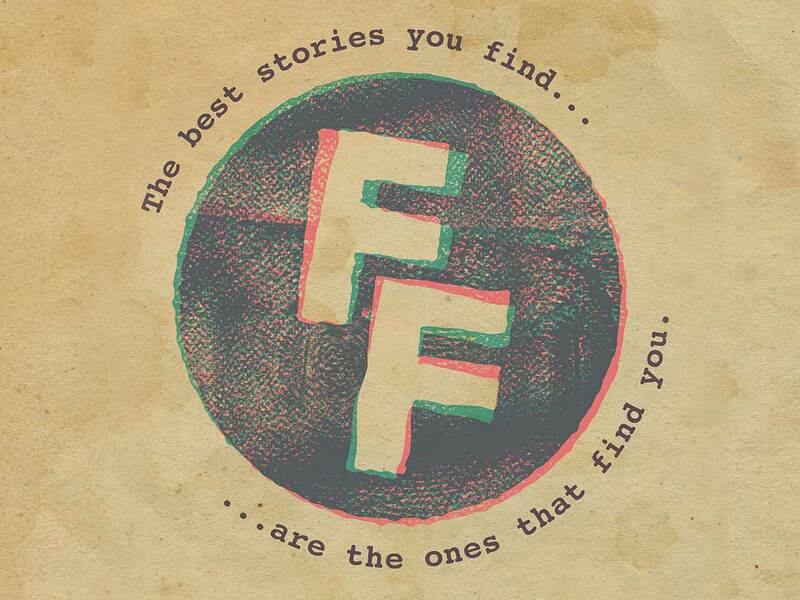 The concept behind #foundfiction is very simple. Writers send us their stories, which we print out, fold into envelopes marked ‘READ ME’, and leave in public spaces for someone to find. To date, around 100 stories have been found and shared on social media – throughout the UK and Europe, and as far away as the US, Canada and Australia. We’ve also published Polish stories to be distributed in Poland. After initially starting out as a means by which one shy writer could get his work anonymously read by others, we now publish work by around 30 authors. In July 2017 we applied for a grant from Leeds Inspired, which funds many arts projects, venues and organisations across the city. 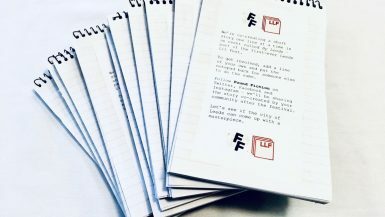 As part of our application we proposed to stage a launch event that would encourage Leeds’ writers, readers and lovers of literature to join the growing #foundfiction community and help take the project to the next level. We were awarded the grant in October 2017 – and immediately got to work planning a launch event that would capture the imagination of the city. Booking a venue was our first step. We were spoilt for choice, with cool bars and quirky spaces adorning every street in Leeds. But as soon as we entered the Leeds Library to discuss hiring its New Room for the night, our decision was made. As well as being a beautiful space that was very relevant to #foundfiction, the Leeds Library was celebrating its 250th anniversary – and looking to add to its 2018 programme of events. Next we focused on creating a striking visual design for promo. Working with dogeatcog, we produced posters and flyers to distribute around Leeds, bookmarks to hand out on the night, and a gif to share online. We also had a video made by Ben Porter, of Hewitt & Walker, to share on social media. But we wanted to do something different to promote the launch party. 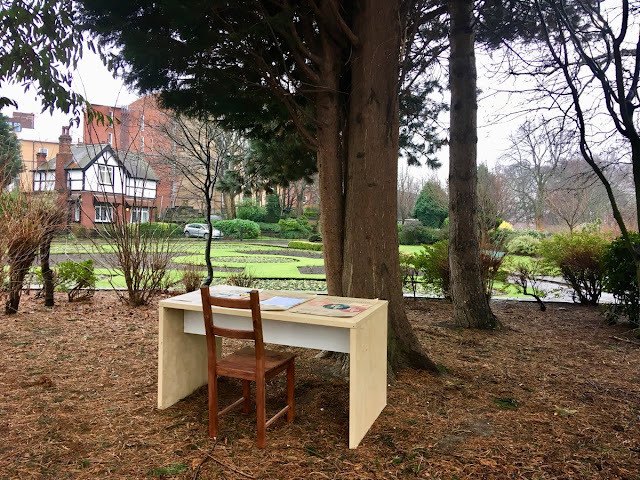 Something specifically related to #foundfiction and the associated concepts of serendipity, anonymity and inspiration that are key to the project. …and outside the Leeds Library on Commercial Street. Sure enough, passers by got involved, co-writing two short stories. We thought it was amazing that people were evidently keen to get creative with others they probably didn’t know, in a place they were likely just passing through, for a project they’d almost certainly never heard about. 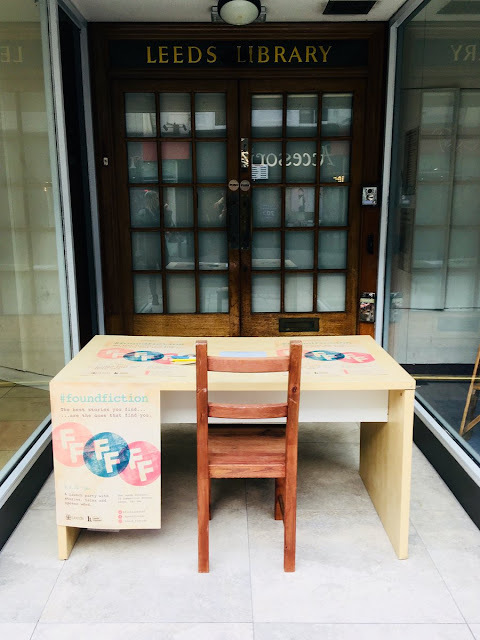 We heard from Marta Polap, from Katowice in Poland, and LA-based Sol Armada, both of whom recorded video messages about how #foundfiction has touched their lives and how they’ve been supporting the project in their respective countries. We also had three of the area’s best spoken word poets – Rose Drew, Phil Pearce and Colleen Pilkenton – take part in a unique creative experiment. As the poets performed their work on stage, artist Jay Sillence drew a visual interpretation of the poems on the screen behind them – illustrating that storytelling transcends artistic formats. Finally, we invited attendees to co-write a story by passing a notepad around the audience – producing a similar result to the #foundfiction writing desk we’d toured around Leeds. It’s always been our goal to grow #foundfiction. Ultimately, if every major city across the world had the scale of a following we have in Leeds, we’d be making a considerable impact on the way people publish and consume short fiction. Like Airbnb, Uber and Deliveroo have disrupted their respective industries, we could one day be doing the same in publishing. If we’re ever going to get there, we need more writers, more distributors, and more support. We’ve come a long way in a few short months, so it’s possible. If you want to be part of helping us get there, get involved. 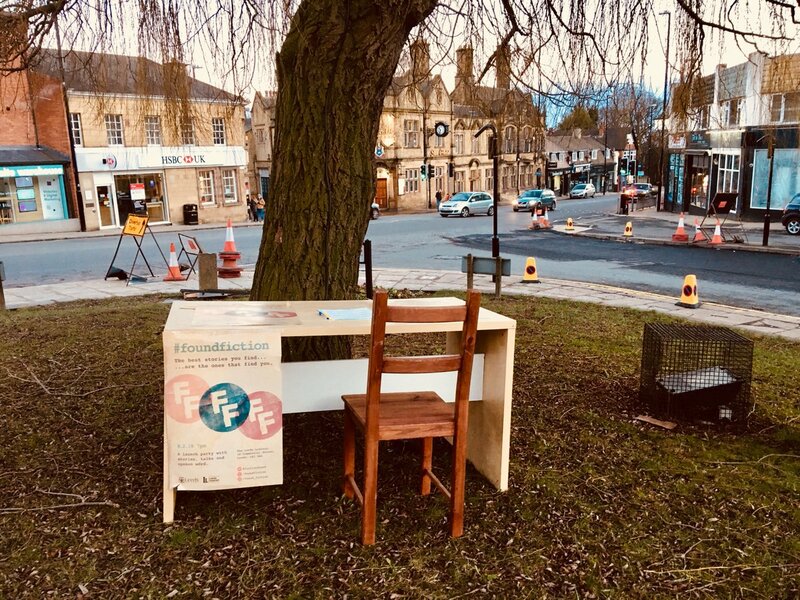 In the short term, the #foundfiction writing desk will be back on 3 June at the Northern Short Story Festival. And keep your eyes out for another event this year. 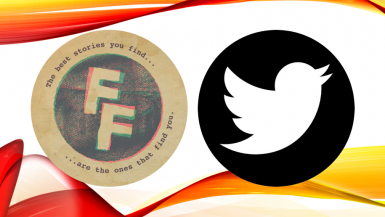 #foundfiction is your project too. Keep writing, keep sharing and keep in touch.